Welcome to another edition of 30 Authors in 30 Days, courtesy of The Book Wheel! I am so excited to be a part of this monthly feature, and even more excited to be featuring the lovely Eleanor Brown today. I have been wanting to read her novel, The Weird Sisters ever since it was released, but finally made it a point to pick up a copy of the book when I knew that she was going to be sharing one of her favorite books right here at Tif Talks Books. For those not familiar with this special event, 30 Authors in 30 Days is a first of its kind event aimed at connecting readers, bloggers, and authors. Hosted by The Book Wheel, this month-long event takes place during September and features 30 authors discussing their favorite recent reads on 30 different blogs. There are also some great prizes provided by GoneReading.com and BookJigs. For the full schedule of participating authors and bloggers, visit The Book Wheel. Now, without further ado, let us all give Eleanor Brown a warm welcome today as she shares one of her recent favorite reads. 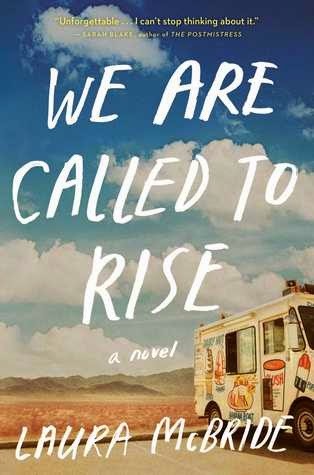 When Laura McBride’s editor asked me to read We Are Called to Rise, I was on deadline, so I promised that while I’d get to it if I could, it wouldn’t be any time soon. It arrived and as I walked to put it in my To Be Read pile, which some days feels like a To Be Read mountain, I opened it to read the first few pages. Instead of reading a few pages before getting back to what I was supposed to be doing, I read the whole thing. I couldn’t stop. I had to know what happened to these characters, broken and so human they nearly vibrate off the page. Avis, who is watching her marriage, her idea of herself, and her grown son all fall apart at the same time. Sgt. Luis Reyes, whose experience serving in Afghanistan has left him angry, grieving, and lost. 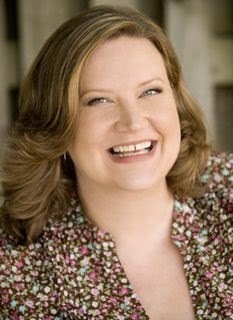 Roberta, who carries years of stories from her work with runaways and the foster system. Heartbreakingly sweet Bashkim, the earnest, loving child of a troubled immigrant family struggling to survive their painful past and difficult present. Last year I went to Las Vegas for the first time, and like many visitors, I never ventured beyond the Strip. Vegas has branded itself so well as a playground that it’s easy to forget there’s anything beyond the gambling, the shows, and the endless parade of hucksters lining the sidewalks. But no one lives in that Las Vegas. It’s not real. The folks who work there leave at the end of the day and go to normal homes in normal neighborhoods. They do the grocery shopping and go to church and fall in and out of love and exercise and raise their children and have their oil changed. This is the world of Laura McBride’s We Are Called to Rise. The story she tells could only happen in Vegas, that particular collision of values and cultures, the city built on tidal waves of boom. And yet it could happen anywhere. It’s a hard novel to read at times. Any story that tells the truth is. But it’s also a tremendously hopeful story: about how we get lost and the ways we find ourselves again, and our incredible ability to give and heal when we are called to rise. Thank you so much to the fabulous Eleanor Brown for the recommendation of We Are Called to Rise by Laura McBride. I think I need to get my hands on this book and read it right away! And, another thank you to Allison of The Book Wheel for organizing and hosting this fabulous event. Last, but not least, thank you to all those participating in and following along for 30 Authors in 30 Days. Be sure to check out the links listed above for more information on the authors and their books. I leave you with a special giveaway in honor of the event. Scroll on down and complete the giveaway form to enter. If you cannot view the form below, you can also enter here. I too have been meaning to read The Weird Sisters, but you know that ever growing pile of books is to blame! I did manage to read We Are Called to Rise earlier in the year, and it is by far one of the best books I have read, and a promising debut! Like Eleanor I read it in pretty much one sitting, once you are immersed into those characters lives you have to continue reading along hoping that everything works out for them. mynovelopinion ... I really need to get my hands on We Are Called to Rise! I do have Weird Sisters and I plan to read it this month (finally)! Both books sound awesome! 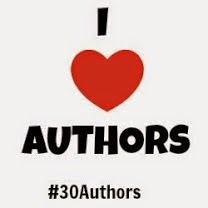 Happy #30Authors to you! Eleanor, I have heard much about your own book, and this review makes me want to read it--in addition to Laura McBride's. Thank you for giving me just a scattering of words that open both up. Tales of people "broken and so human they vibrate off the page." What a great event this blog-o-round is! Both these books sound great. This event is doing serious damage to my TBR. But then the fun comes from trying to tackle my own TBR mountain. Thanks for sharing your thoughts with us on We Call to Rise with us Eleanor! Tanya @ Moms Small Victories ... My TBR was bad already, but I can guarantee that it is going to be much worse by the end of this month! I loooooove when a book sweeps you away like that, when it makes you want to forget anything else exists and you just have to READ. Great post! Wow, with a recommendation like that, how can this one not go on my 2015 list?! Thanks for the review! Jennine G. ... That's exactly what I was thinking!! I hate to admit it but this book was not even on my radar and now all I can think is MUST. READ. Kudos to McBride for writing it and to Eleanor Brown for writing such a wonderful review! Both of these books just went on to my TBR list! This really sounds like a book that should go on my TBR list. Thank you to Eleanor for recommending it and thanks to Tif for hosting her! Melinda ... You're welcome! Glad we could add to your TBR! I have heard so many good things about Laura's book and this just makes me want to read it anymore. You know, when I started this event and invited Eleanor, I had no idea we live in the same area. I'm hoping to catch her at a book signing soon! Thank you for participating!